Could 2018 Be The Year Of The OTT Breakthrough? The stars may be aligning for 2018 to be a breakthrough in the over-the-top video world. Consider, next year Netflix will spend as much as $8 billion on content, potentially more than any other media or technology company. Amazon will continue its own investment in OTT, and will be given a signal boost thanks to its high-profile simulcasts of NFL “Thursday Night Football," along with the Amazon Video app addition to Apple TV. AT&T, in its latest earnings report, said streaming video subscribers jumped by 300,000 subscribers, while its traditional pay-TV customer base had a net loss of 90,000 subscribers. Meanwhile, according to an FCC filing, AT&T is developing an Android-powered and DirecTV-branded OTT video hub that appears likely to be released in short order. Assuming AT&T’s acquisition of Time Warner is approved by regulators, the company will have a vast swath of content, including HBO, to entice new customers to start streaming. 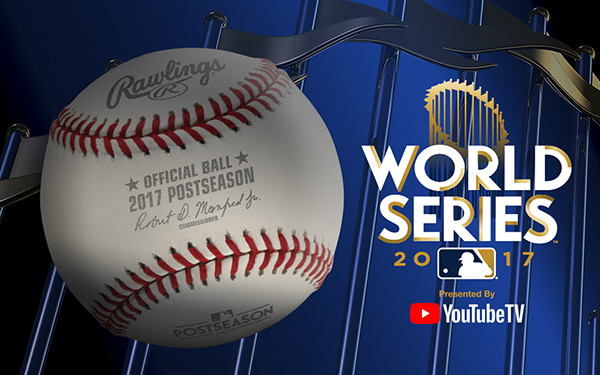 If you’ve been watching the World Series over the last week, you’ve certainly noticed it was “presented by YouTube TV,” with a reminder that you could watch the games without a cable subscription through the service. Hulu is also launching its bundled OTT video service. CBS plans to significantly increase its content spend on original programming for its CBS All Access service, and will be rolling out a sports streaming service in the coming months. Disney will launch an ESPN streaming service sometime next year, though the details of what sports it will include remain under wraps for now. 2018 feels like a tipping point. Every major television company will have a dedicated streaming service by the end of next year, while the powerful technology trio of Google, Amazon and Netflix continue to invest and expand their subscription video offerings. And technology will make it easier than ever to watch OTT video on our TV sets, while mobile phones continue to feature screens well-suited to watching video. For advertisers, these products present new opportunities: to advertise on sports events that may have a loyal following, but are not big enough to air on traditional TV. To advertise on new video bundles with a largely millennial consumer base. To use the scale of a company like Google or AT&T to reach key constituencies not served well by existing video products. For consumers, it means more choices, if not necessarily lower prices. Still, it's a choice many consumers would make, especially as content gets better and better, and the technology becomes more and more accessible. 2 comments about "Could 2018 Be The Year Of The OTT Breakthrough?". John Grono from GAP Research, October 31, 2017 at 5:22 p.m. Yes it could. Then again, it mightn't. Gabe Greenberg from Gabbcon, November 7, 2017 at 6:38 a.m.